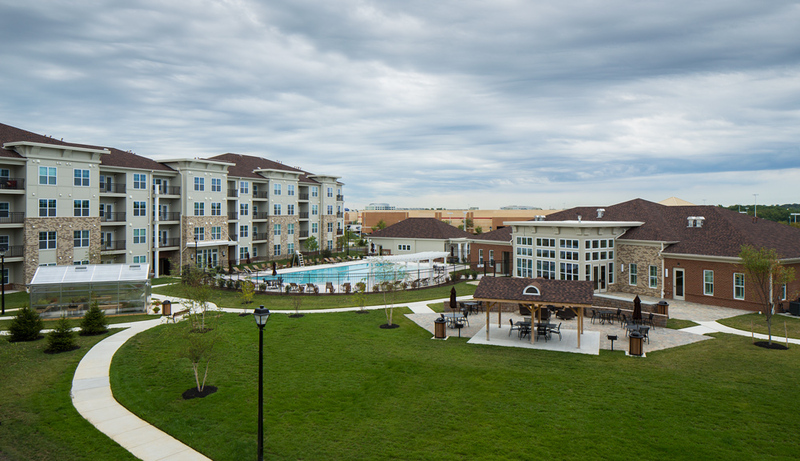 Welcome to Paragon at Columbia Overlook, an apartment community neighboring Columbia, MD located between the bustling metros of Baltimore and Washington, D.C. Wander the landscaped walkways that wind through the community and admire the beautiful amenities all around you. Kitchen – Kitchens have granite countertops, forty-two-inch shaker cabinets and stainless steel appliances. Living – The living room’s open design connects seamlessly with the kitchen and dining area. Bathroom – Fill up your soaking tub with scented soaps and enjoy a warm bath after work. Exterior – The vast community at Paragon at Columbia Overlook spans across five mid-rise buildings with deluxe amenities and easy elevator access. Swimming pool – You can lounge poolside with a good book and an iced beverage. Fire pit – Invite a few neighbors to the fire pit and feel the comfort of good conversation and hot chocolate. 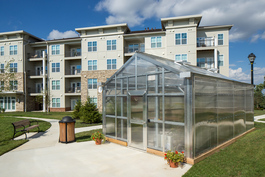 Schedule your apartment tour today at Paragon at Columbia Overlook in Elkridge.